Luis Martinez preached downtown in the early 1960s at The Salvation Army Havana Central Corps. As the pastor, he was the only person allowed to speak from the church’s pulpit. A statue of Christ overlooking the Havana bay. The revolution was underway in Cuba, and faith was no longer free. Now 51 years after Martinez became a Salvation Army officer in the heart of a coup, the international community continues to debate whether or not Cubans have religious freedom. “According to the constitution we guarantee the freedom of religious expression as in any other part of the world,” said Maria Delos Angelas Perec, a senior Office of Religious Affairs (ORA) official in the Cuban Communist Party who represents the Christian churches. She does not personally attend church. The U.S. State Department’s International Religious Freedom Report for 2012 would echo the constitutional protection of religious freedom in Cuba, yet states that “in practice government policies and practice restricted religious freedom.” While the ORA controls most aspects of religious life, the report says most religious groups reported increased ability to cultivate new members, hold religious activities, and conduct charitable and community service projects. Perec said the ORA approved 9,000 religious visas for foreigners coming to Cuba in 2012. 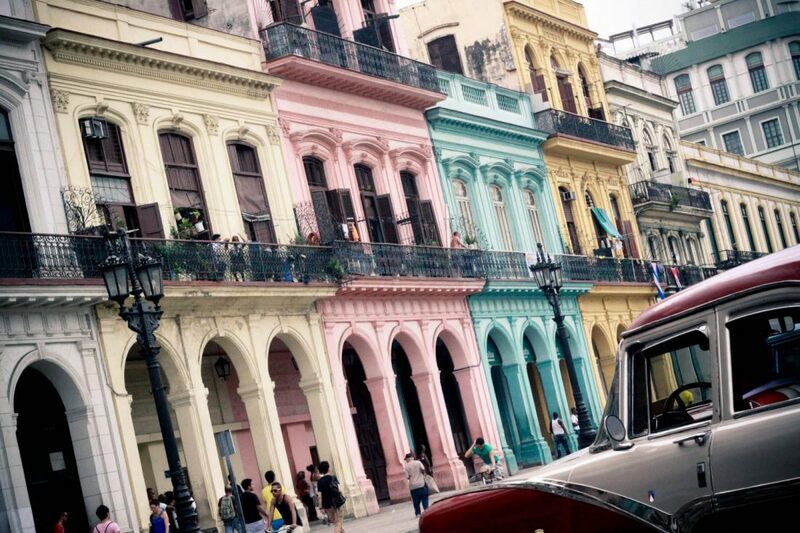 Eleven million people live in Cuba, the largest Caribbean island. The Roman Catholic Church estimates that 60-70 percent of the population is Catholic, but only 4-5 percent regularly attend mass. Membership in Protestant churches is estimated at 5 percent of the population. While it does allow foreign religious personnel in, the ORA rarely grants permission for religious groups to construct new buildings or acquire properties but it does allow restoration of existing structures. According to the Religious Freedom Report, the government owns nearly all printing equipment and tightly regulates printed materials, including religious literature. Granma is the official and only daily newspaper in Cuba, and though Internet access is restricted, the Cuban Council of Churches was authorized to host a monthly 20-minute radio broadcast. When Pope Benedict XVI visited Cuba in March 2012, the government declared it a three-day national holiday and broadcast the visit on state-run television stations. ONE OF FEW remaining socialist states espousing communism, Cuba’s turbulent history ranges from the 1898 Spanish-American War, to gaining independence in 1902 to Fidel Castro’s July 26 movement in 1959 in which he ousted the dictator and assumed control. Cuba became a privileged client-state of the Soviet Union in 1961, which led to further tensions with the U.S. including the Cuban Missile Crisis and subsequent diplomatic and commercial embargo. A single-party state, the Communist Party of Cuba, was established in 1965 and remains in power today under Fidel’s brother, Raul Castro. Yet when the Soviet Union collapsed in 1992, the subsidies to Cuba ended and the country entered a rapid depression known as the Special Period. Ever since, supplies have become more difficult to find, and more expensive. Today, The Salvation Army in Cuba operates 22 corps and two social service projects—a senior home and an addictions recovery program—with 24 officers as one of 22 members in the Cuban Council of Churches. The Salvation Army began work in Cuba in 1912 with missionary officers and operated until 1958 when the last overseas officer left the island, according to Captain Julio Moreno, divisional commander in Cuba who once worked as an inspector for the government. For 10 years, Moreno said, Cuban people continued the Army’s work without the knowledge of international headquarters. “Cuba was without any link to The Salvation Army outside the country,” Moreno said, until a Cuban officer went to an event in Jamaica. It soon after joined the Caribbean Territory until the Latin America North Territory was formed in 1999. Olivia Santos, a soldier (member) of the Havana Central Corps, was born in Cuba, taken to the U.S. as a toddler, and lived in New York for 19 years. She returned to Cuba in 1980, and due to various circumstances, has not been able to leave since. According to economists, Cuba’s central economic failing is that the paternalist state under Fidel Castro did away with any incentive to work, or any sanction for not doing so. Most means of production are owned and run by the government, and most of the labor force (78 percent in 2006) is employed by the state. Cubans live under difficult circumstances, and though they still receive monthly food rations from the government, free education and healthcare, many struggle to survive. For those who can get a job, the average monthly earnings total $19 with little variance between skills. The Wall Street Journal and Heritage Foundation’s 2012 Index of Economic Freedom ranked Cuba 177 out of 179 countries. Things are slowly improving under the second Castro president, who lifted bans on Cubans owning mobile phones and computers, and in 2011 allowed citizens to buy and sell houses and cars. Despite these challenges, Cuba ranks high in areas of health and education. According to the World Health Organization, the life expectancy in Cuba is 78 years. Though material shortages exist, Cuba has the highest doctor-to-population ratio in the world and has sent thousands of doctors to more than 40 countries. It has a 99.8 percent literacy rate with free education at every level based on Marxist ideology, according to the constitution. “If people don’t want to turn to the communist party, then they turn to church looking for betterment in life,” Santos said. But it wasn’t always easy. Under Fidel, the government suppressed religion in Cuba for decades, believing the transnational networks, resources and opposition to communism posed an ideological threat to the regime. In the early 1960s, the government nationalized church property and distributed anti-religious propaganda. Religious believers were barred from communist party membership and certain professions. Between emigration and the exile of priests, only 220 clergy remained on the island by 1965. Two of Luis Martinez’s family members operated a Salvation Army children’s home in Havana when armed soldiers arrived to “investigate.” For three days, they interviewed the children while the staff was made to stay in their rooms. “The soldiers told them to pray, and then said, ‘Where’s the food? If you pray to Fidel you’ll eat,’” Martinez said. When the kids complied, the soldiers brought in food and cakes. They released the staff, but claimed the property. It was in a similar home that Martinez was raised in Holguin, Cuba. He later went to university to be a teacher, but after the revolution his school remained closed so he entered The Salvation Army training school and was commissioned as an officer in 1962. He soon after narrowly escaped a government roundup of young church leaders. “I’m so happy to see that The Salvation Army went through all those years of hard times and now is bigger than before the revolution,” Martinez said. In the late 1960s, Martinez left Cuba on one of the U.S. government “Freedom Flights” from Varadero Beach to Miami. More than a million Cuban exiles now live in the U.S.
MORE THAN 20 YEARS after Martinez fled, in 1991 the Cuban Communist Party removed atheism as a prerequisite for membership and permitted religious believers to join for the first time. A year later it amended the constitution to deem itself a secular state rather than an atheist state. It’s largely believed this “opening” to religion came as a result of the fall of the USSR. According to historian Auerlio Alonso, the “severe crisis of material needs caused a crisis of values that led to existential crises and a reactivated popular belief in the supernatural.” At the same time, as religious groups provided social services, increased religious liberty reduced the cost of the government’s ruling. It was a controlled deregulation of religion, however, cautious of any civil unrest. The ORA, established in 1962 and given increased capacity in the early 1990s, acts as an intermediary between the government and religious organizations. To each faith community, the ORA assigns representatives to periodically attend events and bring any concerns to the government. Olivia Santos’ name was changed in this article. Great article. Would there be a chance that you would give a helping hand to PAC? They would need a place to set up their free vet clinic for strays. I have always donated to the Salvation Army in Canada for years. I was wondering if you would be able to do the same for this amazing group!